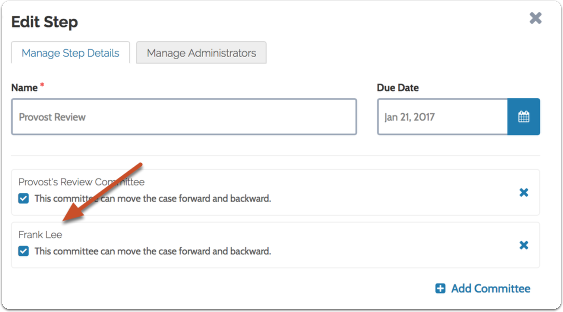 Administrators can assign an individual Interfolio user to a workflow step, just as you would a committee. Functionally, this is the equivalent of creating an ad-hoc committee of one person at that step, where that person is a Committee Manager in terms of their user permissions. Note: Users added as an individual in a workflow step will not see themselves described within the product as a Committee Manager for that step. Any number of separate individuals can be added to a workflow step, and you can freely add a mixture of both committees and individuals to a workflow step. 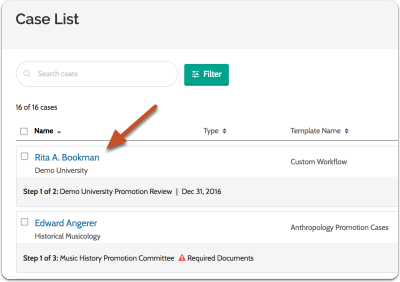 This article explains how to add an individual reviewer when editing a case, but the process is the same when adding committees while creating a case. Click "Case Options" and select "Edit Case"
An individual user can review the case, but will not be able to collaborate with others in the program. 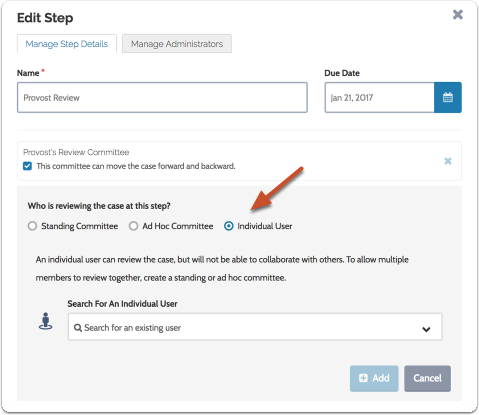 To allow multiple members to review together, create a standing or ad-hoc committee. Note that you can only add Promotion & Tenure users who have already been added to the program. 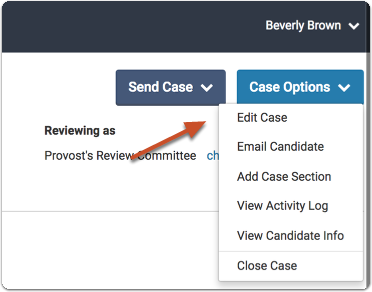 Make your selection and click "Add"
If checked, the individual reviewer can move the case forward or backward in the workflow of case review steps.